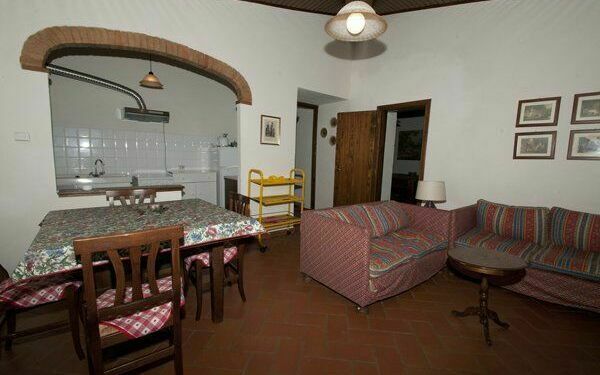 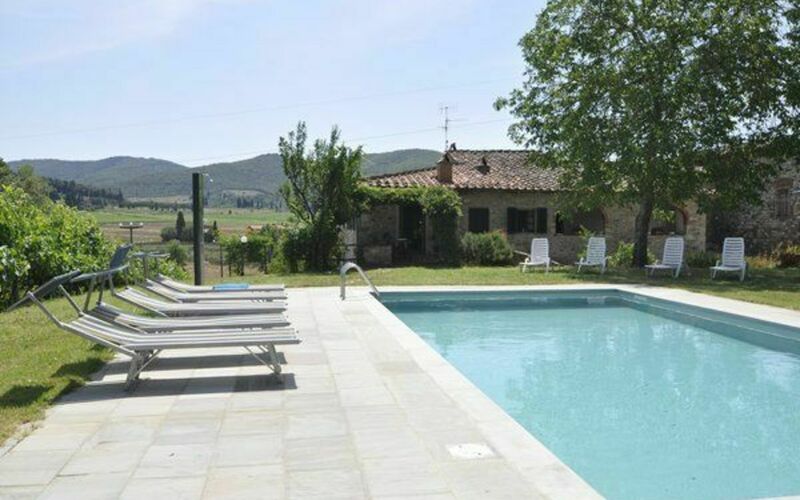 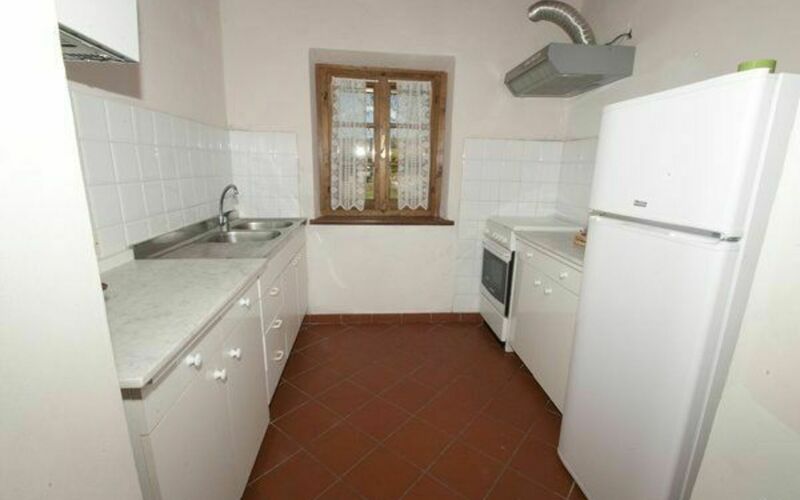 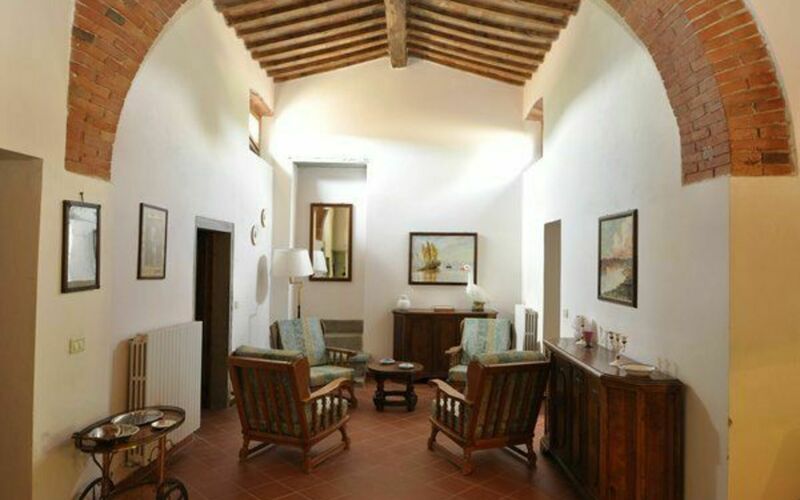 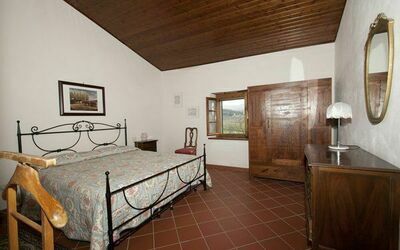 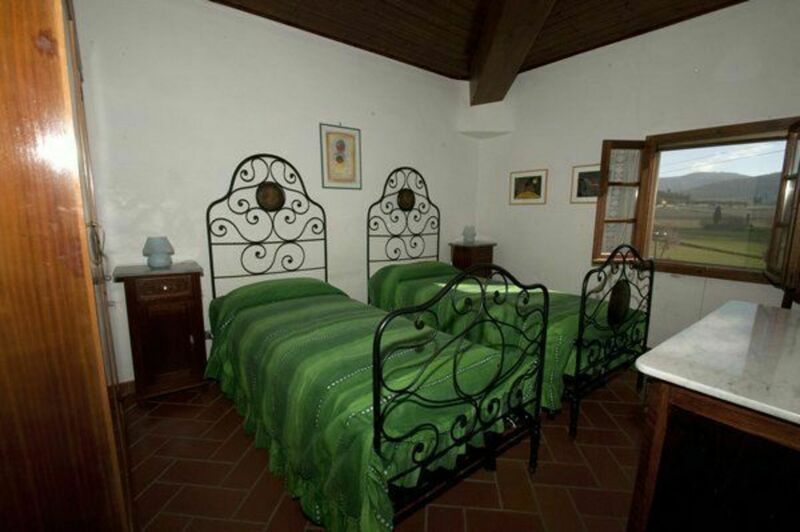 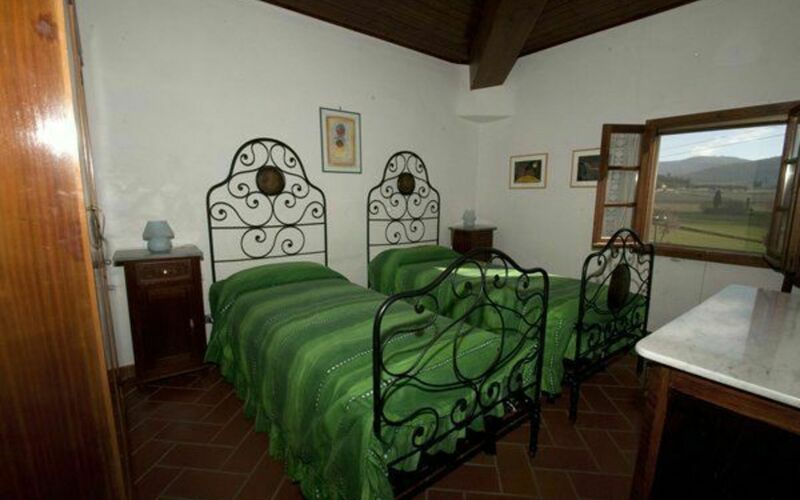 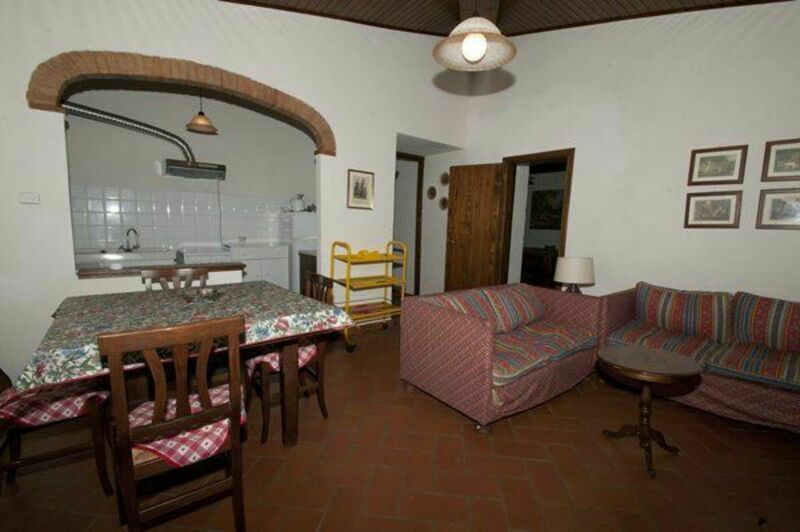 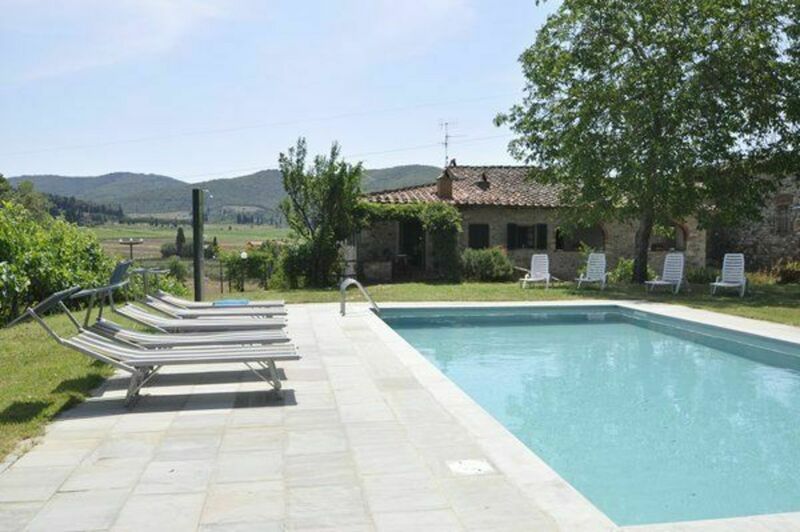 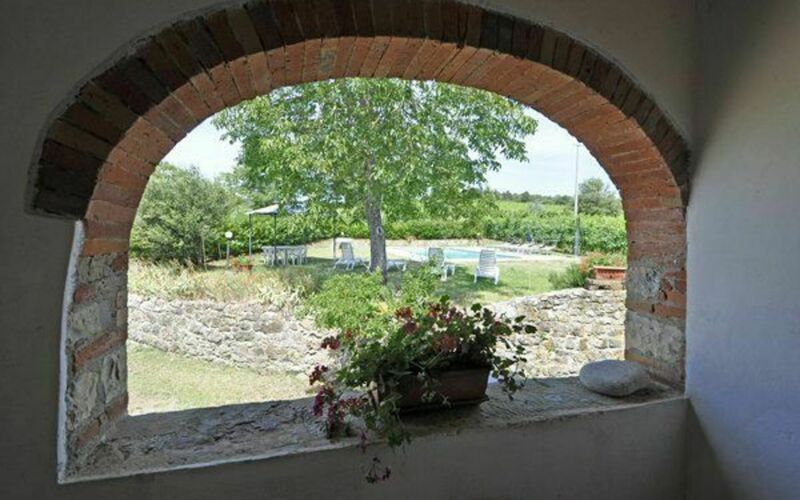 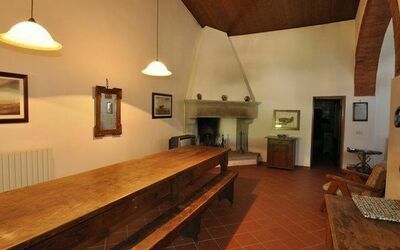 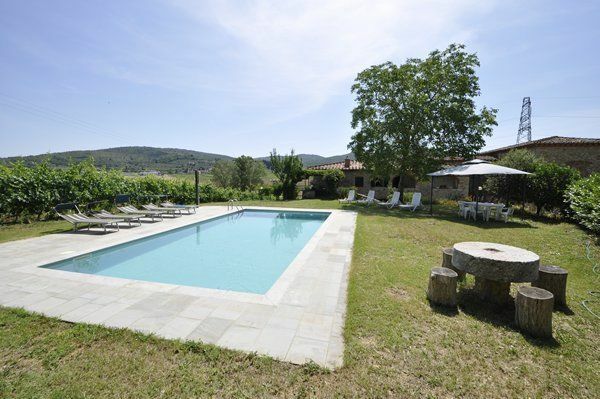 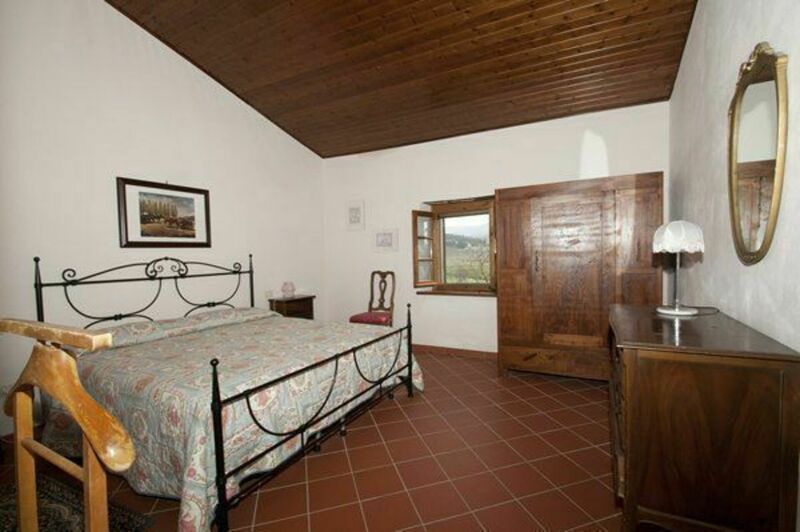 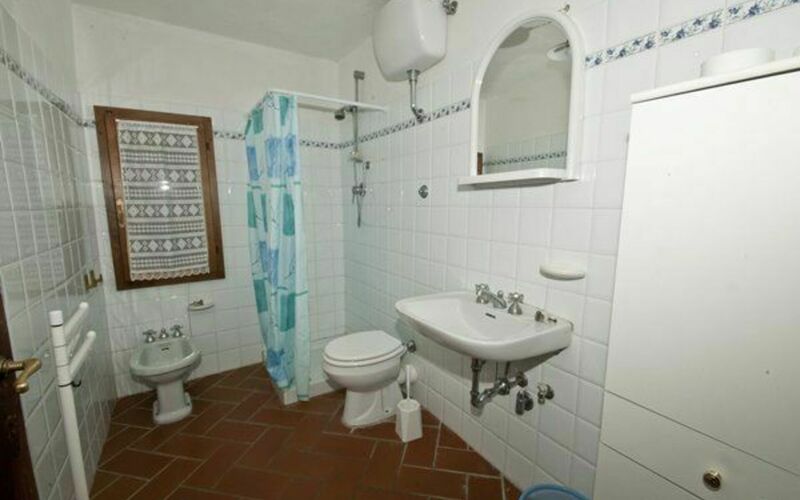 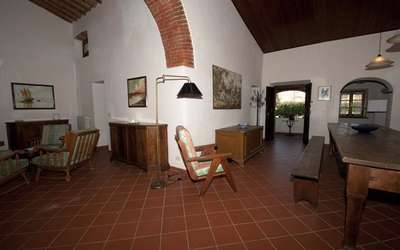 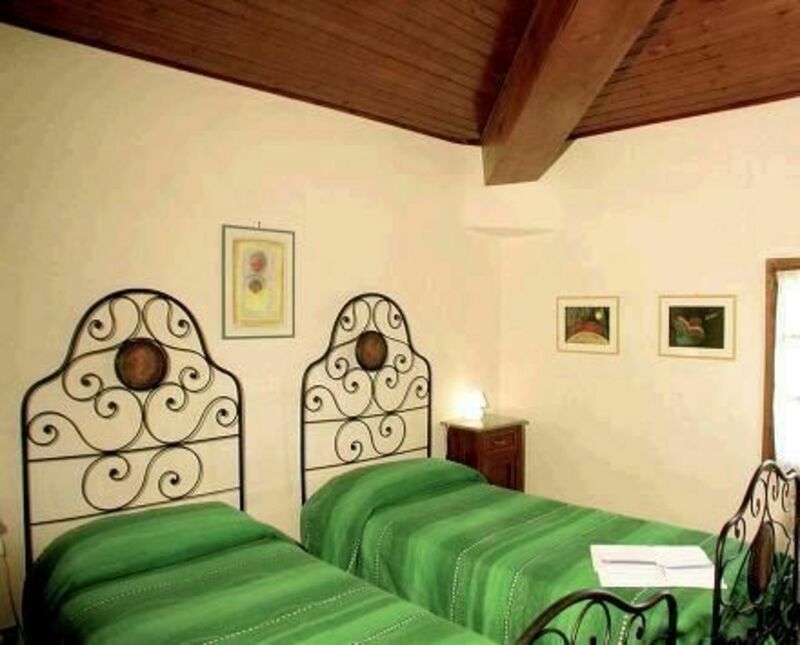 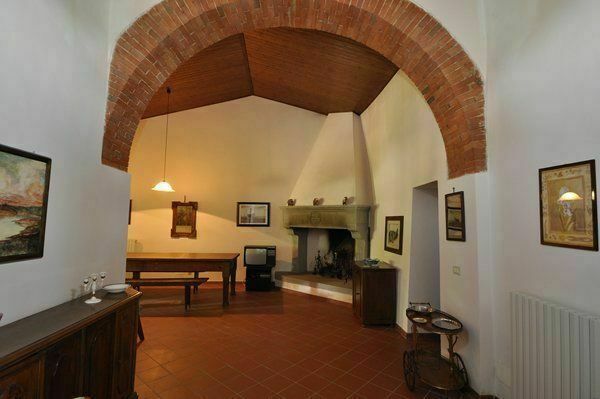 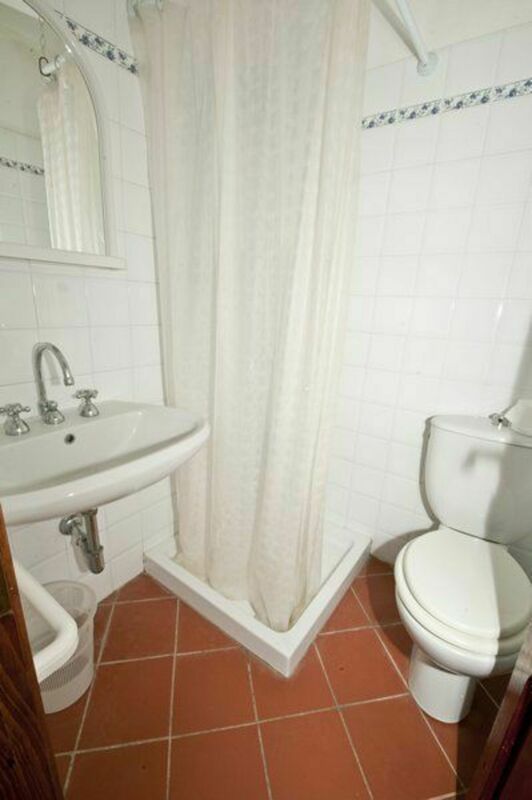 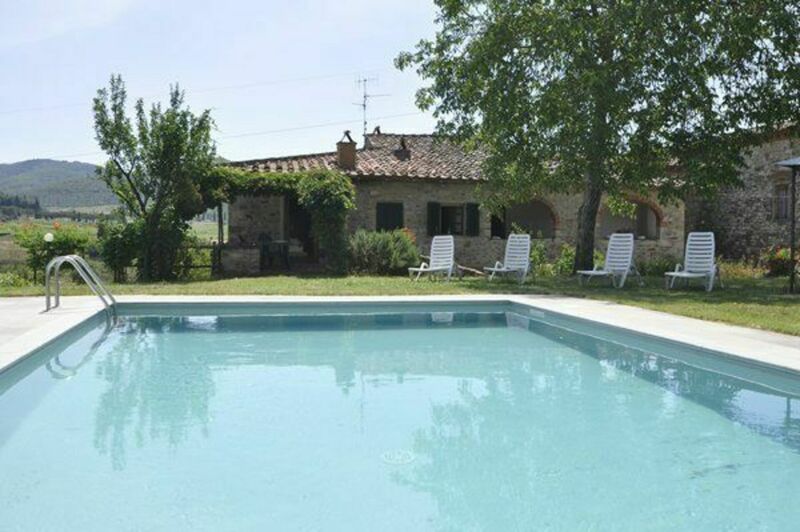 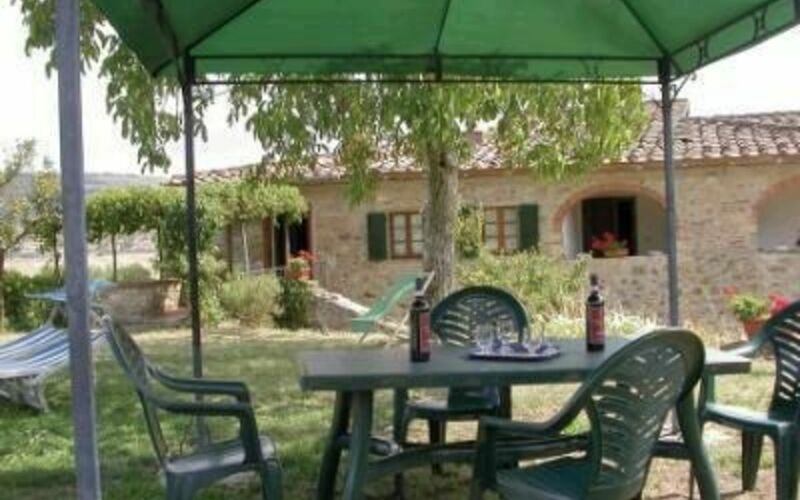 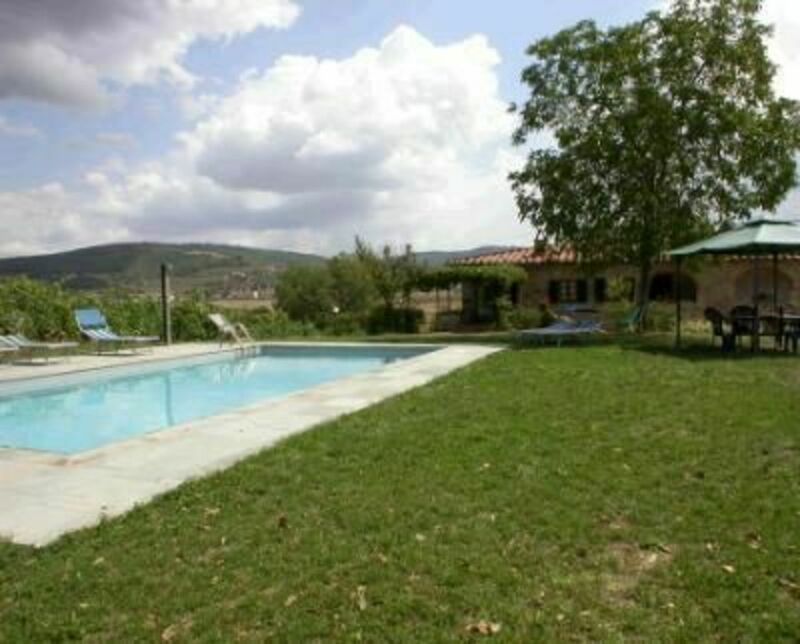 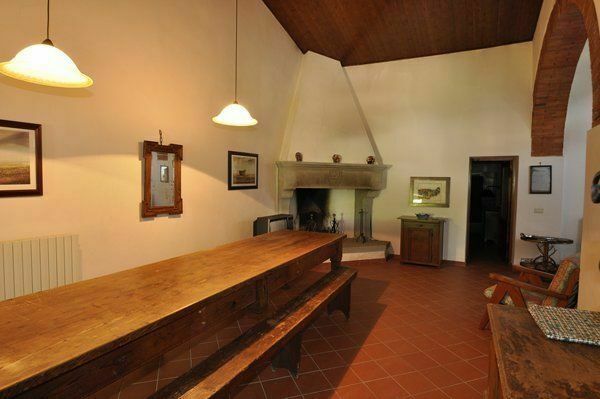 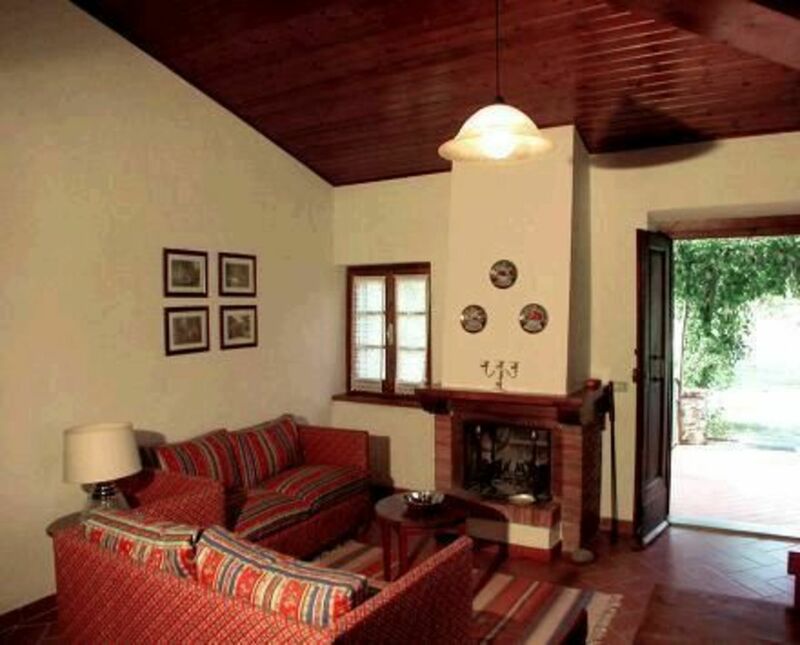 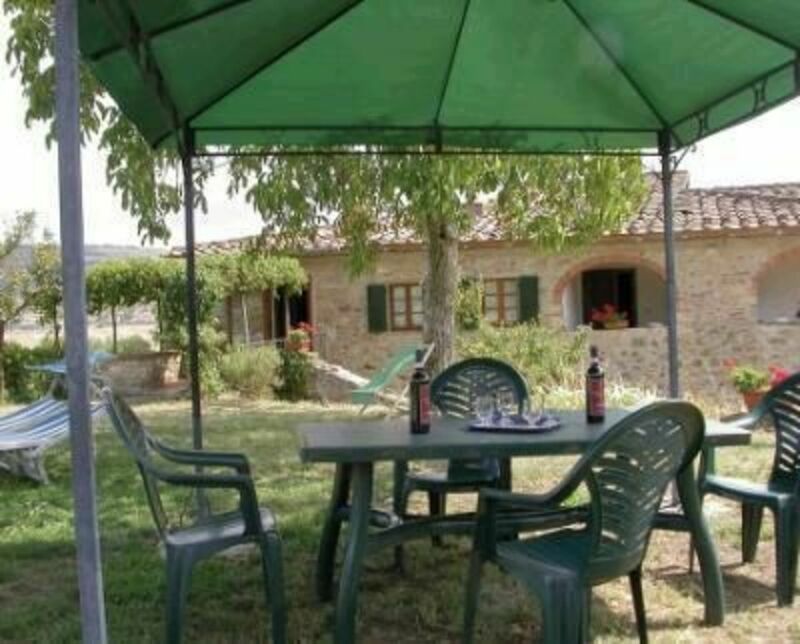 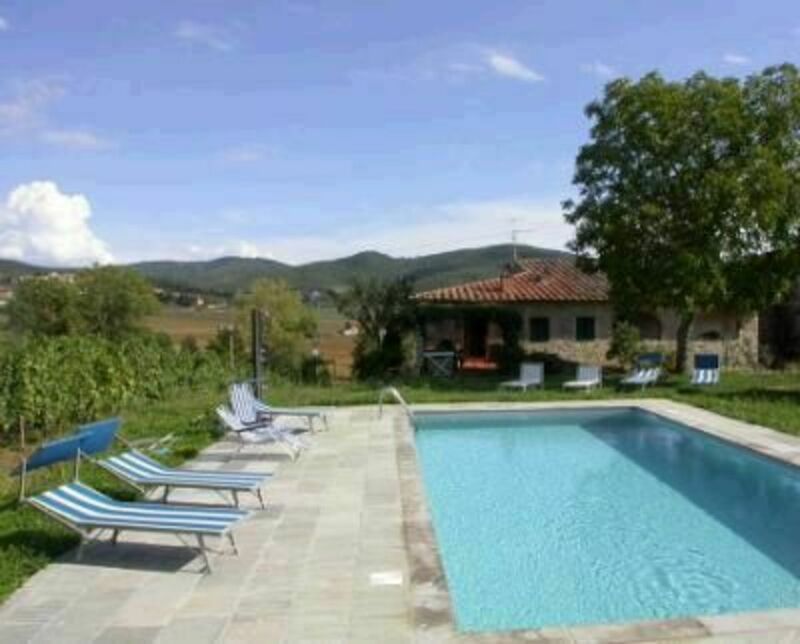 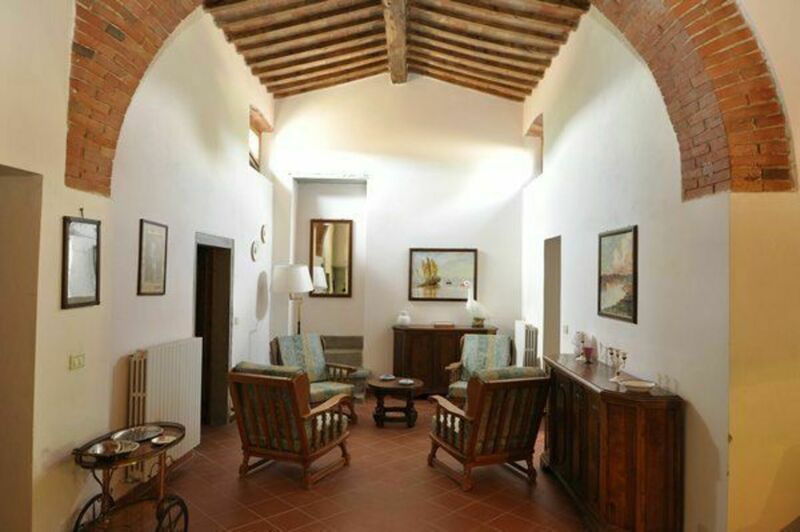 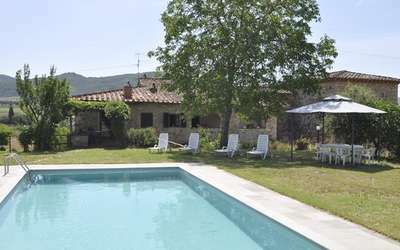 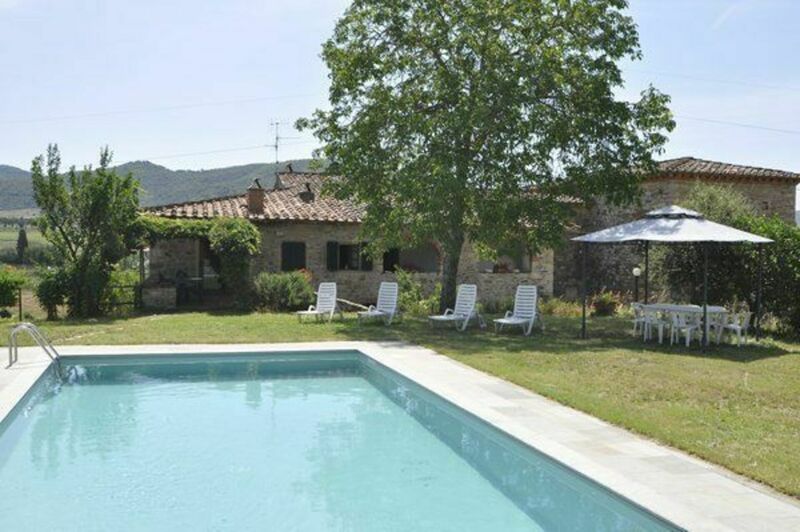 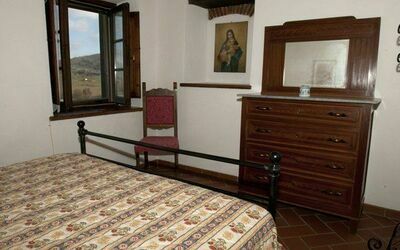 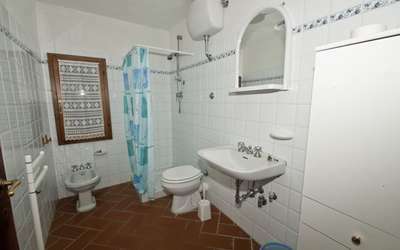 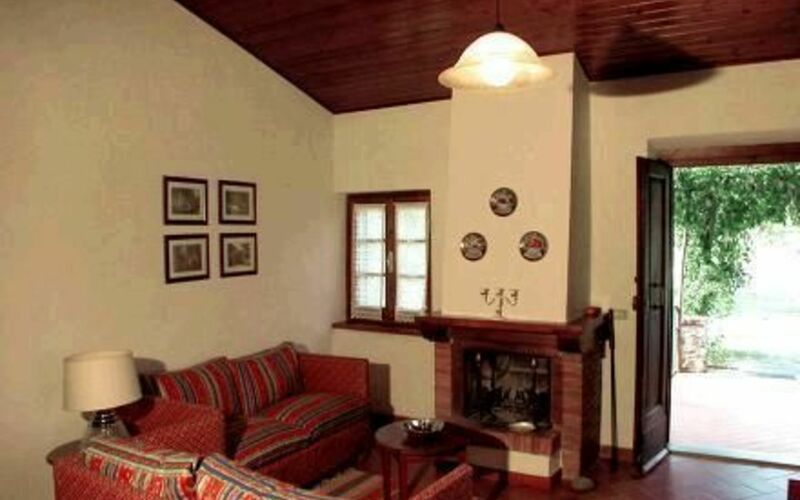 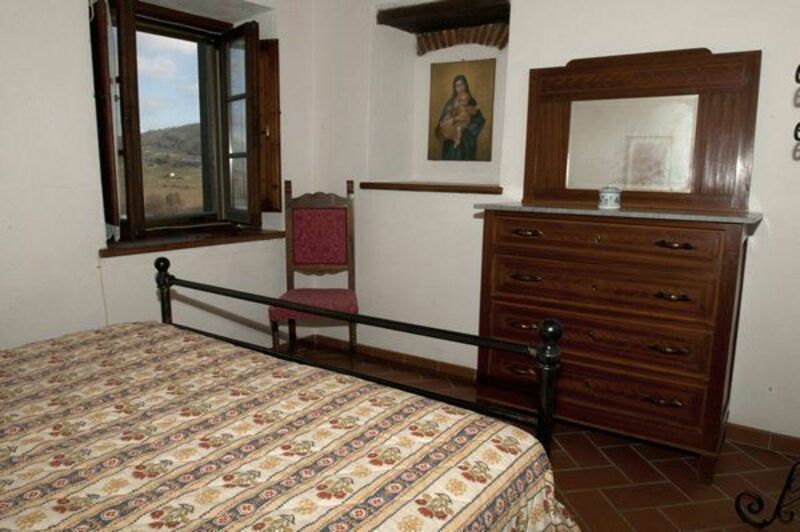 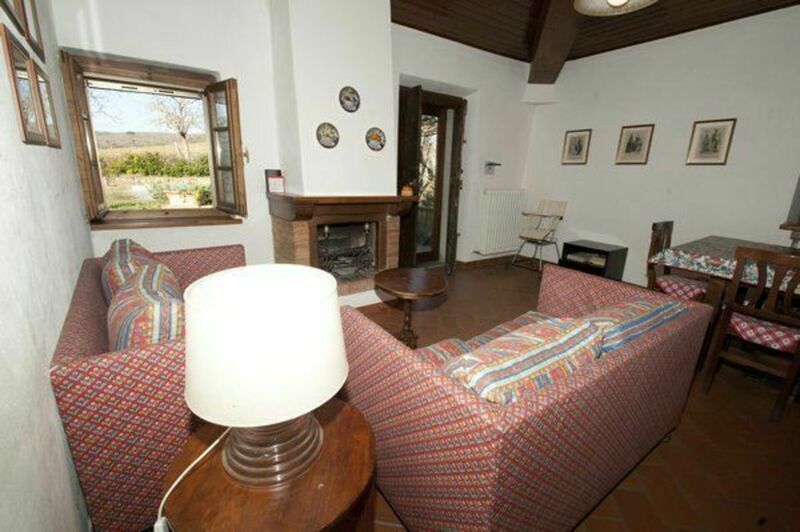 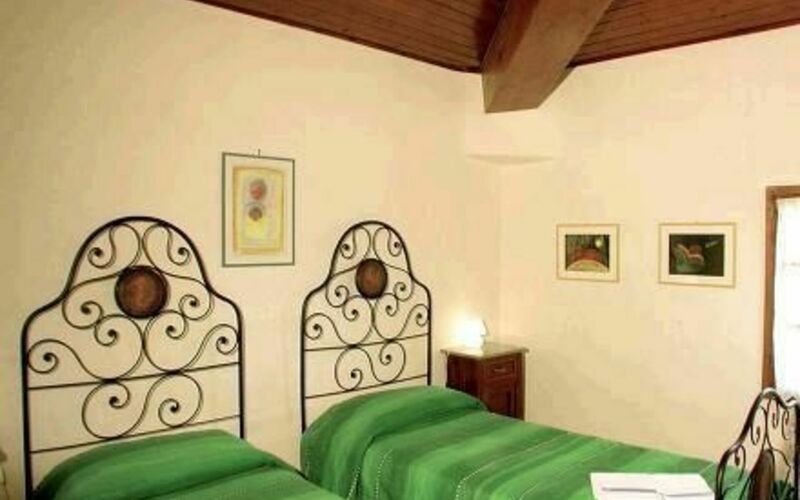 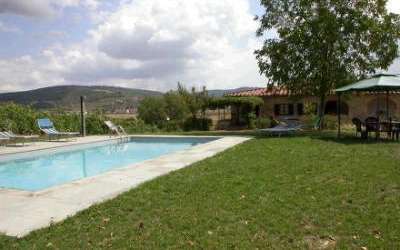 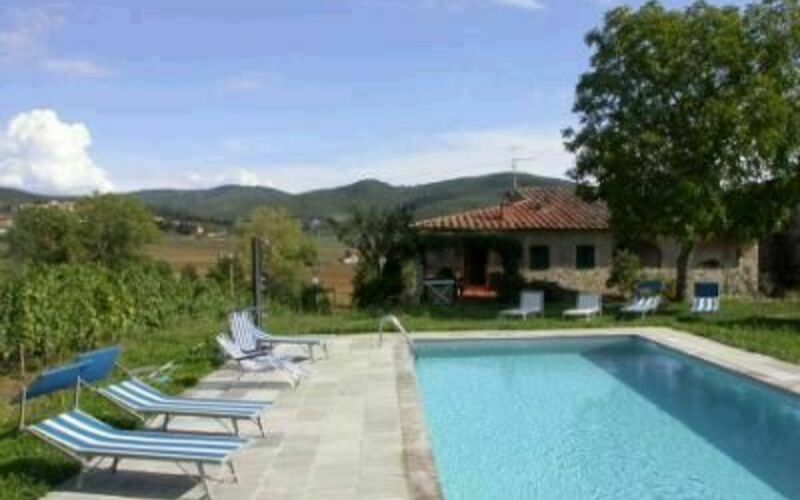 Farm-house 'Scerfio', renovated 20 km from the centre of Arezzo, 40 km from the centre of Siena, 60 km from the centre of Firenze, in a secluded, quiet position on top of a hill. 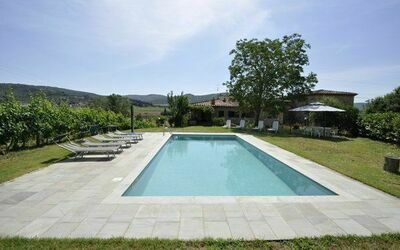 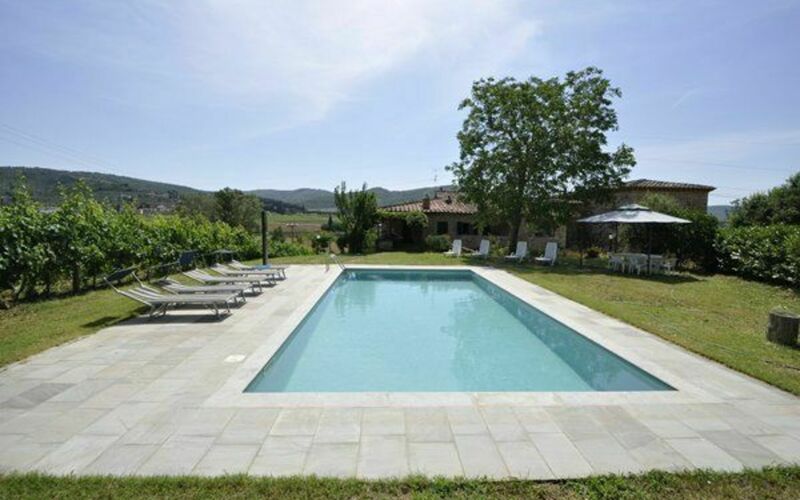 Private swimming pool mts 5x10 depth 1.4mts, garden furniture, barbecue. Grocers 1 km, supermarket 6 km, restaurant 1 km, railway station 'Laterina' 5 km. 20 km from the centre of Arezzo, 40 km from the centre of Siena, 60 km from the centre of Firenze. 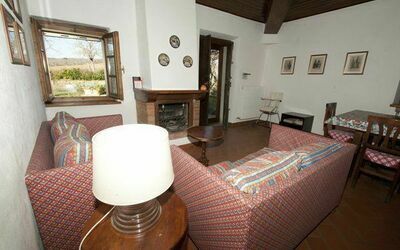 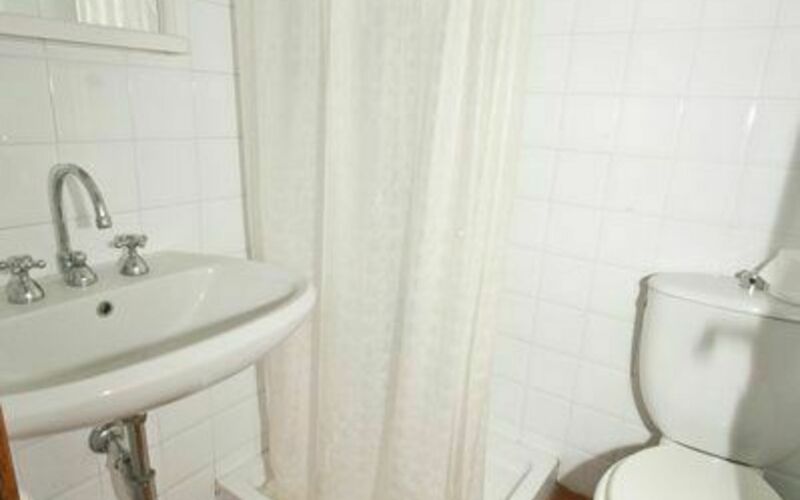 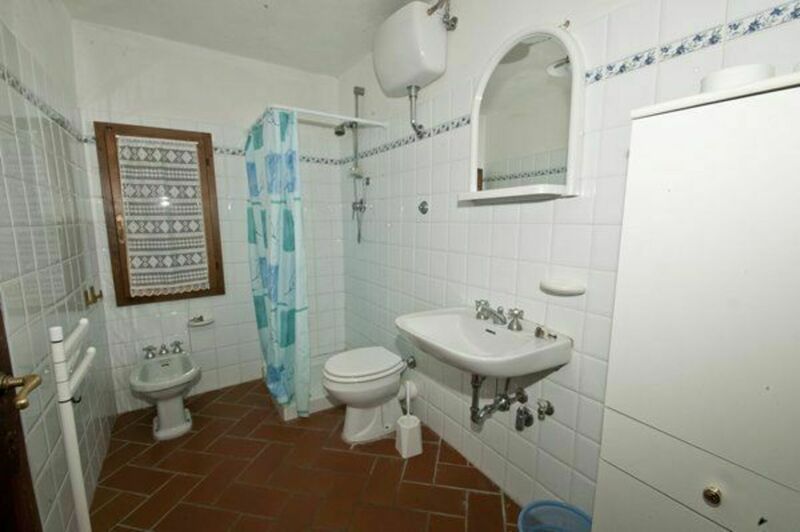 Ground floor: rustic and cosy furnishings, 2 large living/dining rooms with open fireplace and TV, 3 double bedrooms, 1 twin bedroom, 3 bathrooms with shower, 2 small kitchens with ovens (one kitchen has a washing machine and a dishwasher).